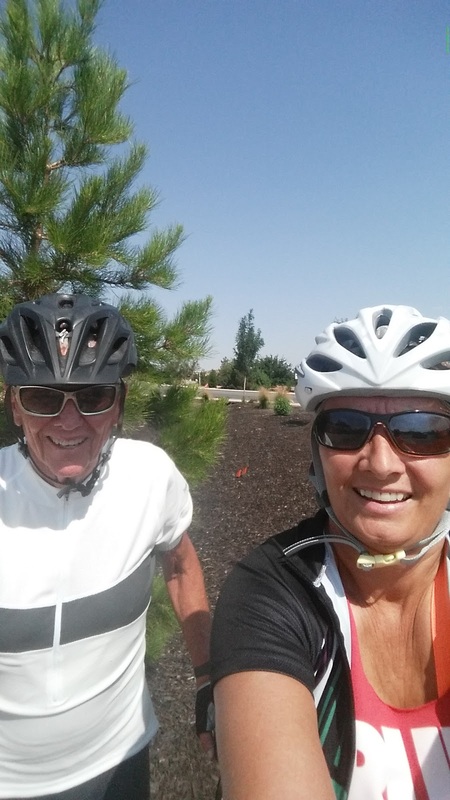 Breaking The Cycles: Back in the Saddle! After 2 weeks off nursing my dumb numb fingers, I embarked on the journey to Utah Mtn. At 5:30 am Saturday, David Dangerfield, Randy Naron and I set out to climb 3200 ft. Utah Mtn is on the old highway to Mesquite out of Ivins. We left early and in the dark so that we could miss most of the heat. All went well until halfway up the climb. I was nauseous and hot. So David was the only one who made the last 3 miles of 8-10%. He is a stud and I am in constant awe. I want to be like him when I grow up. On our way back we stopped for breakfast at Kayenta! It was delicious. The only bummer of the morning was on of David's cables broke and he rode the last 12 miles stuck in one gear. 51 Miles- Variable winds mean just keep crabbing!